It can seem as though food is in the driver seat. Binge eating makes us feel powerless and weak. We don’t even necessarily want to eat many times, but like a moth to the flame, we can’t seem to stop ourselves. Does this sound familiar? Now, compound that with the many diets you have probably gone on to help “control” your eating. It may work for a little while, but soon that little voice is demanding you to feed it. It wants everything you “can’t” have. It wants things you don’t even like. Why is this? The more we try to control food, the more it controls us. It is like playing tug of war with a dog. You pull and they dig their paws in. You tell yourself you can’t have a certain food and I will guarantee you will obsess about it until you have it. At that point, it will probably feel like a letdown as soon as you finish it, so you’ll start the cycle of restriction again and pray that you will have more “willpower” to resist it next time. Exhausting! So, what do you do instead? Replace the word can’t– As soon as we say we can’t have something, it seems to trigger childhood powerlessness and someone more powerful being in control. This is where defiance around food really kicks in. Replace the word can’t with choose. “I choose not to eat that”. This is a much more empowering view and less likely to end in a defiant binge. You can change your mind at anytime when it feels like a choice instead of rule you are forced to follow. Play the tape– How will you feel after eating that food? Will you feel energized or lethargic? Pay attention to how your body reacts to certain foods. I am not an advocate of eliminating food groups just to follow the rules of a diet. If your body is legitimately telling you that a food group does not make it feel good, then you may want to look at limiting it or cutting it out. That isn’t a food rule, that is Intuitive Eating based on what feels good to your body. If you don’t hear it when it whispers, you will have no choice when it is screaming. By paying closer attention to our relationship with food, we can work with our body instead of against it. Our mindful choices can make all the difference and balance the power! 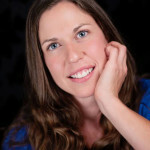 Michelle Lewis has a Bachelor's degree in Psychology from Weber State University and a Master's degree in Social Work from the University of Utah. She has been working in the mental health field since 2001.